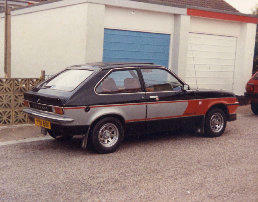 Vauxhall Chevette Blackwatch The Blackwatch came with Black and Silver Paint, a plaque inside the door stating styles by Farina, sports steering wheel, flared arches and low profile wheels. Blackwatch was written on the nose of the car and on the bottom of each door. 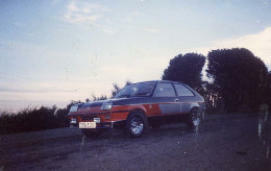 These pictures were very kindly supplied by Sean Gratton who owned the above car some years ago. We have now sourced a brochure which is pictured below. 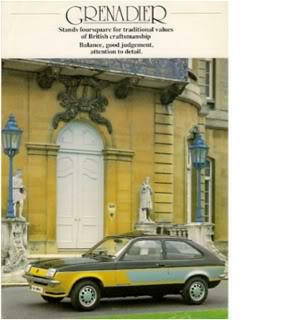 Vauxhall Chevette Grenadier The Gernadier features Black, Silver and Orchid livery, Colour impregnated Front Air Dam, Flexi Rear spoiler, Alloy wheels with locking option. Head restraints, Black four spoke Sports Steering Wheel, Centre console. 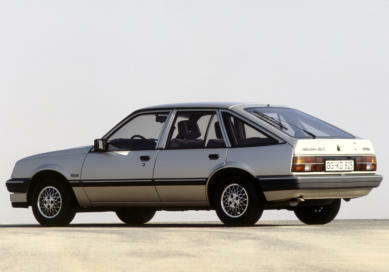 These features in addition to the Chevette L Hatch Specification. Burr walnut fascia, hinged glove box and door capping, Removable glass tinted sun hatch, 2 wave band radio/stereo cassette player with door speakers. It is believed that only one example of this model is still on the road. Vauxhall Chevette LUX Another car by Star Cars of Amptihill was the Chevette Lux. This came in 4 two tone colours Royal Red and Sebring Star mist with Red Trim. Jamaica Yellow and Ivory with Beige Trim Regatta Blue and Sebring Silver Star mist with Blue Trim Orange Tan and Hazel Brown with Beige Trim The car also had walnut veneer fascia and door capping, tilting and removable sun roof, push button and radio and stereo tape player, detachable hinged rear luggage cover, Twin Quartz Halogen Fog and spot lights. 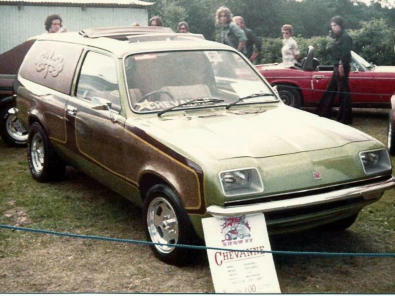 Star Custom Vehicles was the progression from Star Vans (Search Star Vans, Stringer) a Van Conversion company formed in 1975 by Stephen Stringer in Bedford. 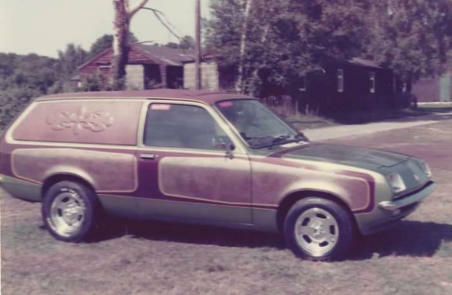 After many vehicles for Ford, GM, Chrysler and many other automotive companies around Europe expanding from a three person operation in 1975 to 60 employees by 1980, The success due to the design and construction ideas created by the Star Vans Team of dedicated workers over the early years under the direction of Stephen Stringer the sole owner, in 1979 expansion saw the forming of Star Custom Vehicles a Ltd company due to the amount of work being carried out and the requirement of doing business on that scale, a move to larger premises Ampthill Bedfordshire, the home of Stringer and a new Business Partner Cyril Copperwheat and Financial partner Gerry Myler. 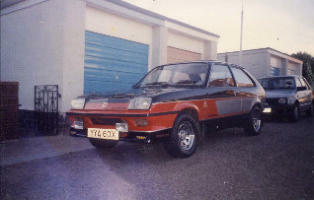 That new company continued to grow completing many thousands of dealer specials for Vauxhall, Ford, Alfa Romeo along with others, including the DTV Vauxhall Chevette HS and HSR vehicles including all the DTV works Cars with mechanical additions by Bill Blydenstien. 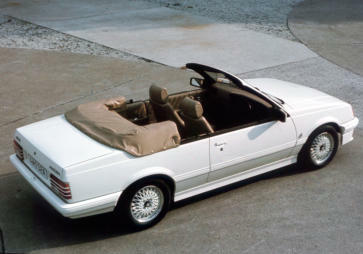 In late 1980 non “ Automotive Minds “ partners bought in to aid the growth Stephen Stringer sold out his majority shares to pursue his Automotive Design related jobs, working with Tom Karen of Ogle Design of Letchworth on the Ogle Astra, taking it to production by Avon Coachworks in Warwick. Star Custom Vehicles became part of Hamilton Motors of North London and continued on for 18 months, folding due to greed and the lack of innovation that built the Star Group Companies, Stephen Stringer continuing on, without the strangling restrictions of “ Shy and Sensitive Used Car Salesmen minds “ along with “ Money Grabbing Look at Me “ types, moving to the USA in 1984 to form Alternative Automotive Design with operations in Texas and California, providing Automotive, Aircraft, Boat and Motorcycle Design along with Composite After market parts and limited vehicle production for many companies around the world. Mr Stringer was diagnosed with Parkinson’s in 2005 and AAD closed in 2010. Total vehicles designed and constructed by AAD companies totalled over 30,000. (With thanks to Stephen Stringer for this and pictures below).